Did you know that it’s possible to spruce up a room, give it a little more glam, for under $50? Well, you can. It just takes a good imagination. There are lots of little ways you can add panache to your rooms without spending a lot of money. 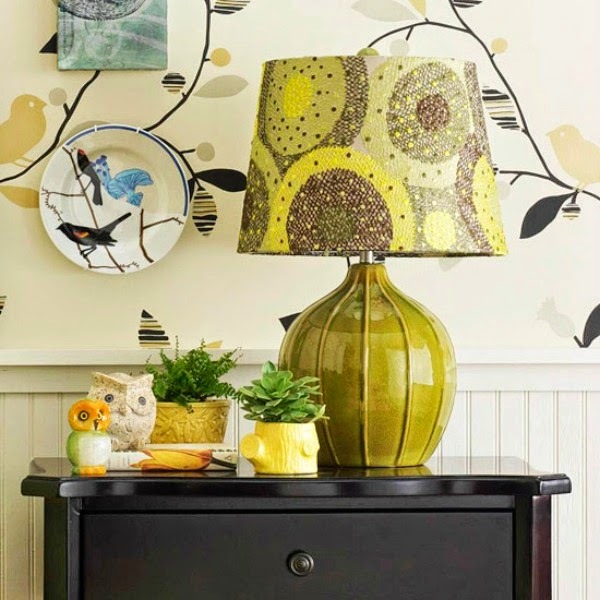 Give a tired lamp a new look. Paint the base and buy a new shade, or put fabric around one you already have. Patterned shades are a hot commodity right now. You could stencil a wall. That would be far cheaper than wallpaper. And if you grow tired of it, just paint over it. Put nail head trim around your upholstered dining room chairs. It gives it that extra something. Even one roll of wall paper can be expensive. Pretty wrapping paper can be used instead. Adding gold hardware to the corners of this coffee table gives it a little bling. Buy just enough paint to do the outside of a piece of furniture. In the photo above, they’ve painted just the outside of the night stand yellow. It makes the color really pop. You can also add a pretty piece of fabric to your headboard for a new look. Spring for a shiny sequined pillow to make your couch look snazzy. If you can’t find one, buy the material and make it yourself. Here’s another idea for using just a little bit of paint. 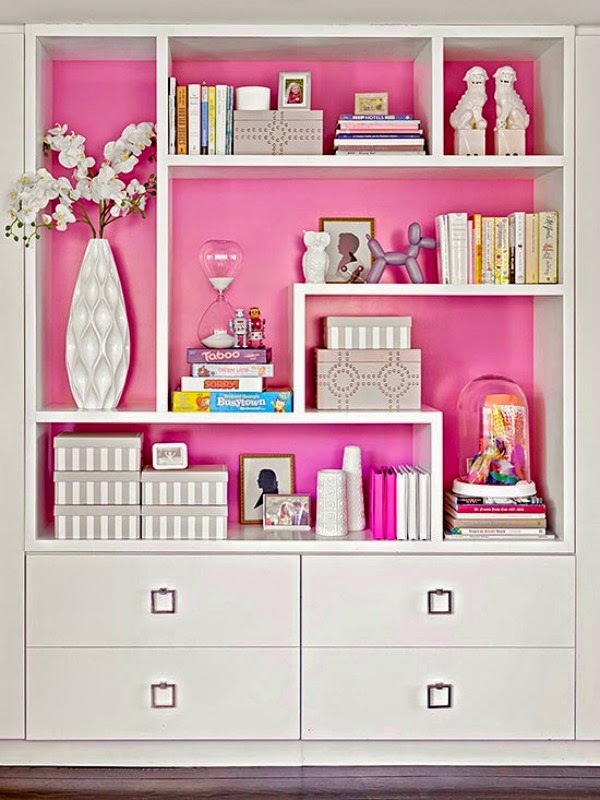 If you love a bright color, but only want to add it sparingly, paint the back of a book shelf. Have a pretty dining table in storage, but need a coffee table more? Have the legs cut off of the dining table. Instant coffee table! New pillows are a great way to liven up a room. 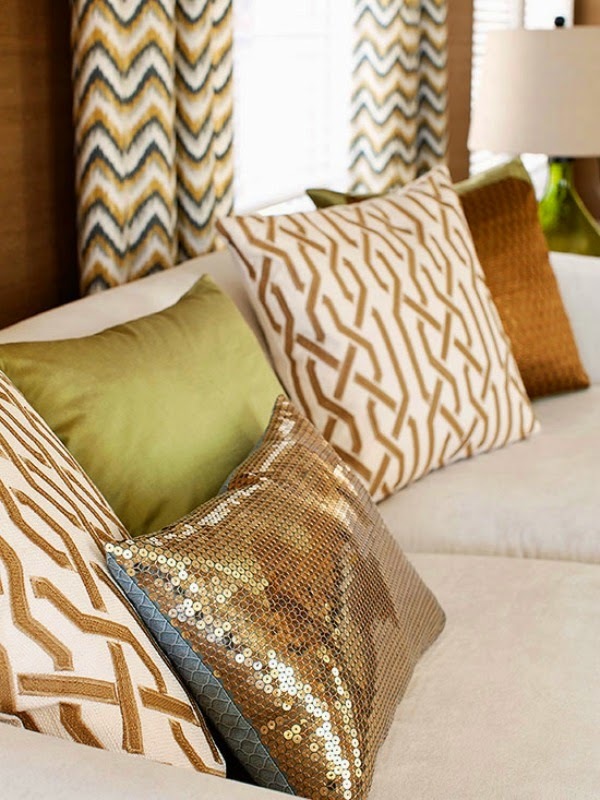 These green pillows look fantastic against the more subdued colors of the bed and bedding. 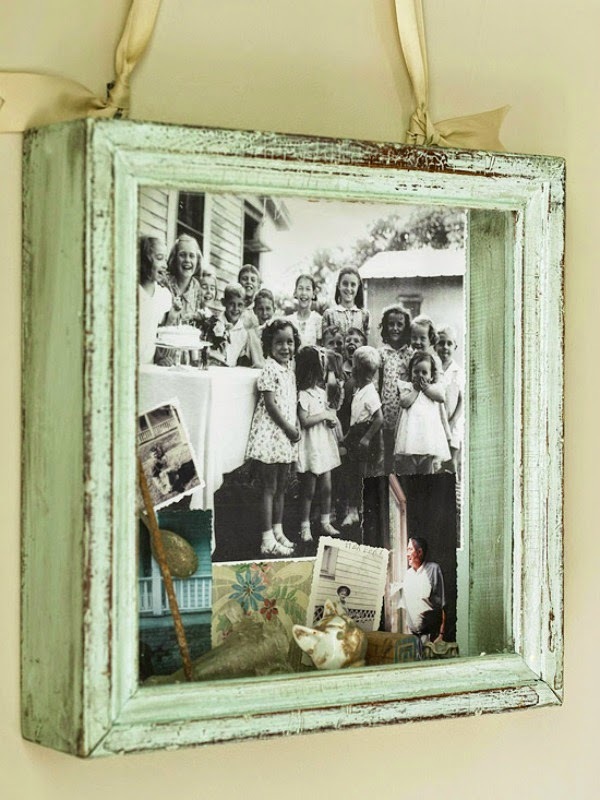 Purchase a shadow box to make a family photo really stand out. You can also add little bits and bobs in the bottom that hold meaning for you. 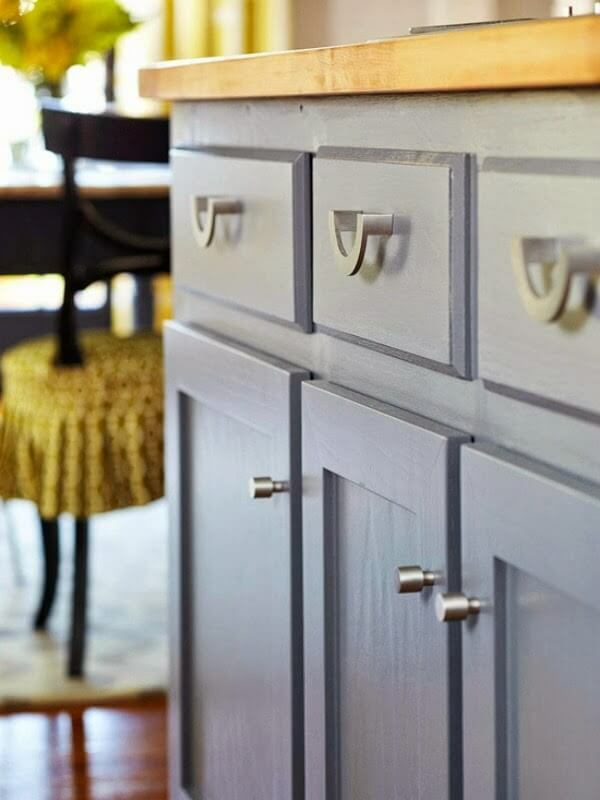 Add new hardware to an existing piece of furniture. It will give it the uplift it needs. 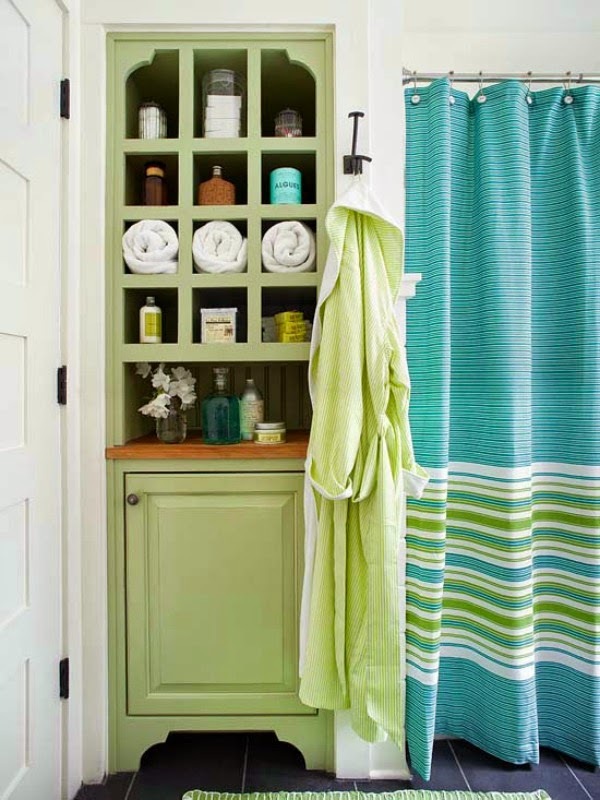 Change the look of a bathroom fast with a new shower curtain. Painting the storage piece a nice sage green brings it all together. You know you can buy paint for under $50! 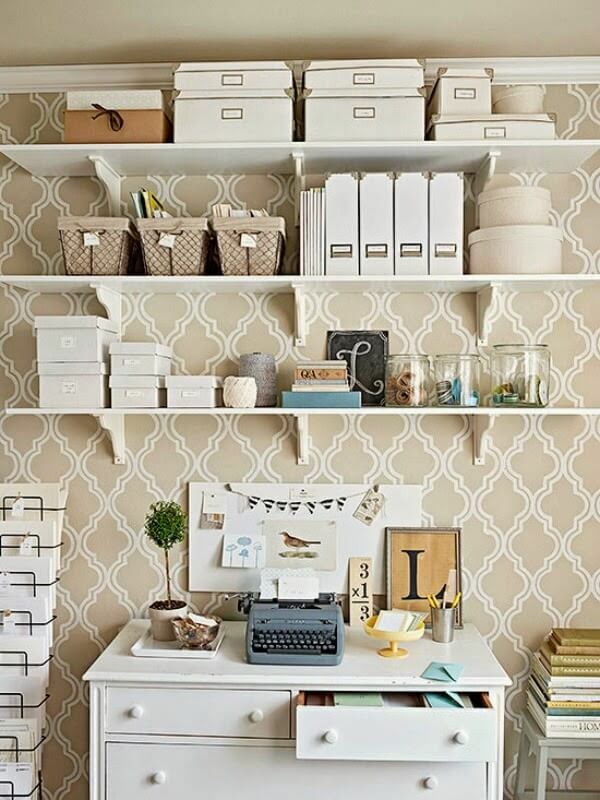 Give your desk a little makeover. Purchase a pretty file folder. Add a few ceramic holders for pens and pencils. 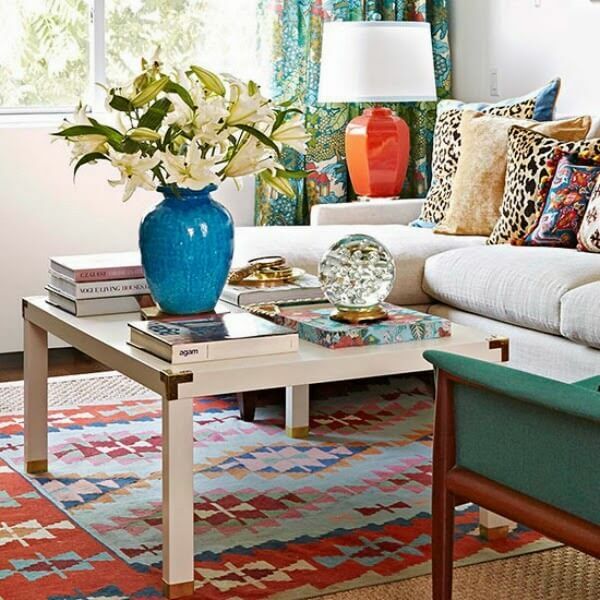 There are so many ways to add a little something to a room. 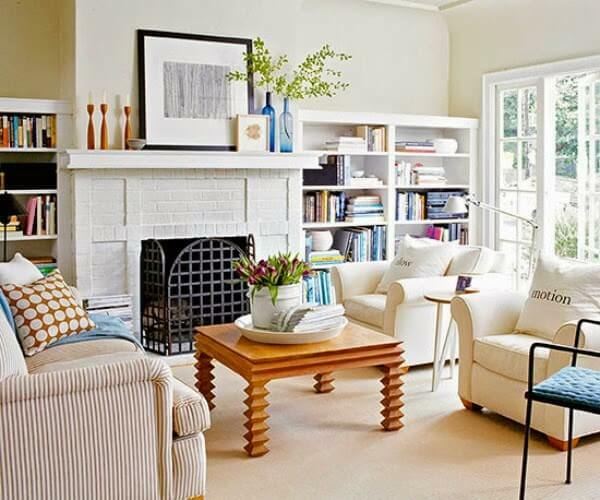 If your room is looking ho-hum, see if one of these decorating ideas might give it new life. Lots of great ideas. I have a lamp that needs a new shade or a re-made shade! Thanks for these amazing ideas! Actually, all my rooms could use a lift. I would love to use a couple of these ideas. Sure do wish that my sewing machine wasn't broken! These are such fun ideas! 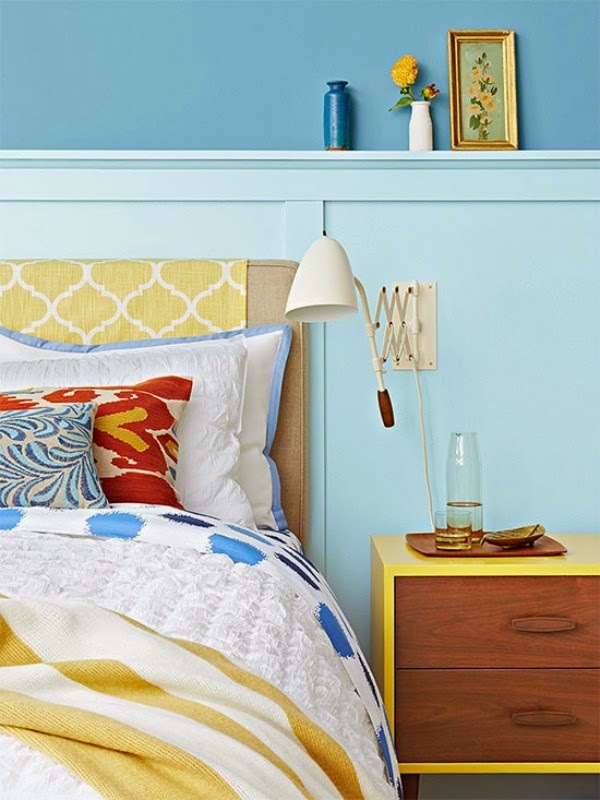 I especially love that yellow bedside table and the shadow box! 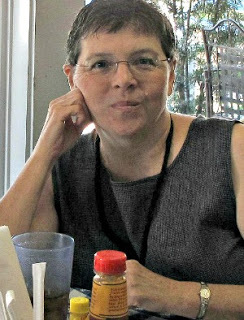 Great ideas and inspiration Brenda!! I need to find a shadow box. The color is very similar to a little bedside table I saw today in a flea market. It might have to come home with me the next time I'm there…if it's still there. Thanks for the ideas, because it's time for some sprucing up at my house! I Pinned that adorable shadow box! Now I need to go through old photos to see what I could put together. Sweet! 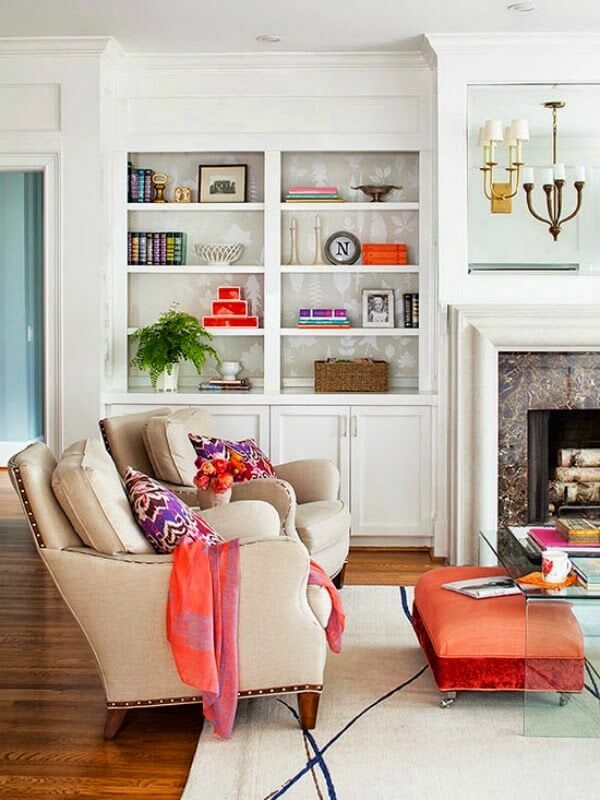 I am a big believer in the power of one…one item can totally change a room. I usually go for a bright throw! Love the shadowbox! Great photos. I love the blue bedroom. 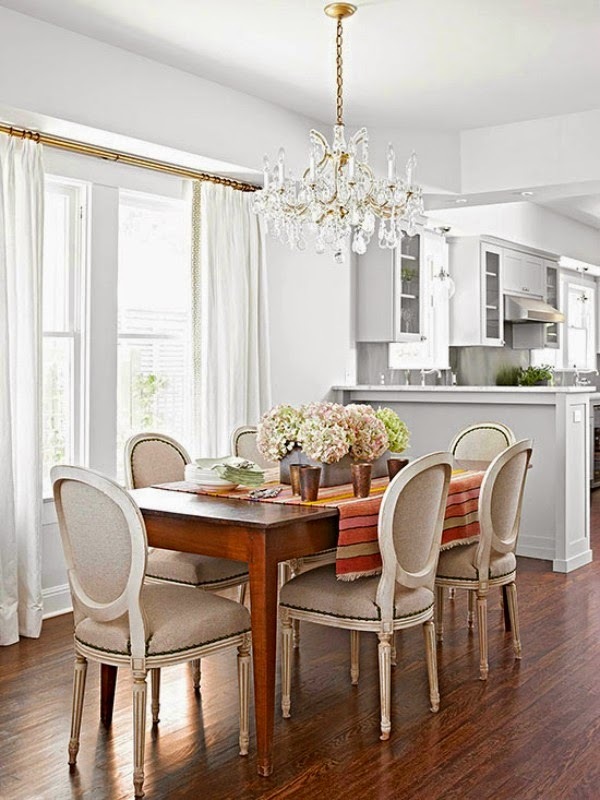 Paint is a cheap and easy way to change the look and feel of a room. It's amazing what you can do with a little paint! Those are all great tips! I've done some of those to my home too. I love to change up my pillows and paint furniture! tiffany engagement rings sale often tiffany london sale come to me, do not continue to live the kind of dark, physical and mental suffering of the occasion. cheap turned to Hikari said, then shook his head and tiffany uk sale laughed tiffany engagement rings sale to thirteen street and ask who is the sale, along with sale mix, will not suffer tiffany london sale an iron bar. cheap finish, slowly toward Buyetian.